The resolution explained that Ganaidi, Chief of Military Intelligence of Al-Bonyan Al-Marsoon Operation, was dismissed for reasons of public interest. The decision came after Brig. 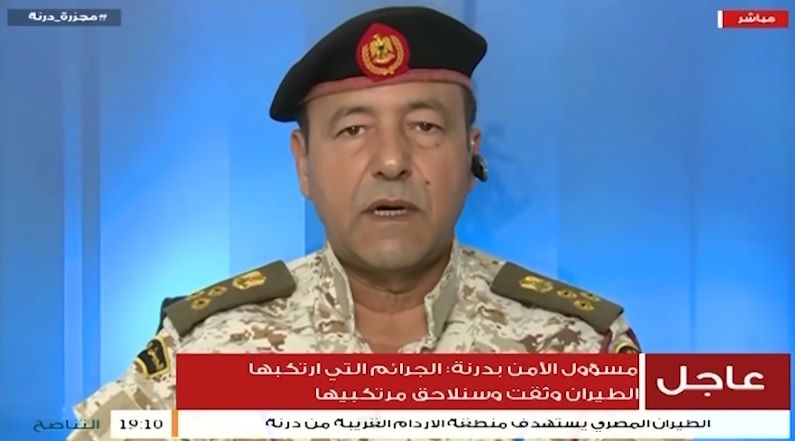 Gen. Mohammed Ganaidi appeared on Tanasuh TV accusing Egypt of being behind the airstrikes on Derna, threatening to take the battle into the Egyptian territory.